The classic Metronome is no longer available. This simple metronome allowed musicians to mark time by giving a regular tick sound at a selected rate. Drag the arm horizontally to start the arm. Tap to stop. Drag the arm vertically to change the tempo. Tap the "i" button to access settings and choose a time signature. 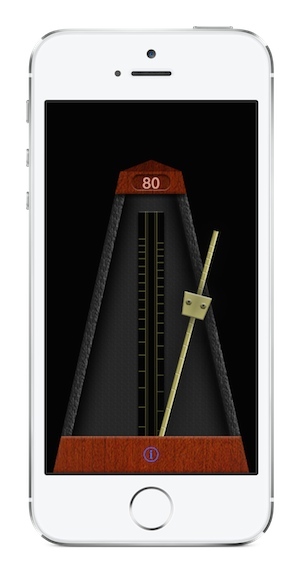 Metronome for iPhone, iPad, and iPod touch.